This is traditionally the time of the year for reviewing the developments over the past months and taking stock. At UFI, we did this in early November, during the General Assembly at our Global Congress in Johannesburg. 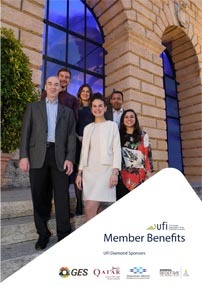 Thank you again for all the feedback you gave the UFI team on our ongoing initiatives, activities and projects. Despite political tensions, a rise in protectionism, and a perceived fragility of free trade, both the global economy and the exhibition industry as a whole are growing at a higher rate than expected. Organisers of conferences and exhibitions are benefitting from a shift in the way marketing budgets are allocated, with various research showing that companies are spending less on advertising and more on live events (and digital marketing). 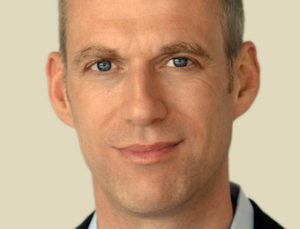 On the venue side, our own research shows that, in all parts of the world, venue capacities are expanding – a very strong signal that (mainly public) investors are expecting our industry to deliver revenues and profits for many years to come – based on the resilience and adaptability our industry has shown again and again in the past. However, as our industry always follows market developments, growth cannot be taken for granted, and systemic growth can only come from expanding our industry’s offerings. At the same time, the industry’s resilience and adaptability are facing perhaps their biggest test – and opportunity – yet, through the continuous rise in the volume of data and the shift towards digitisation. We know that, globally, CEOs in our industry are focusing their organic investments and attention increasingly on two areas: building new business models for a data-driven marketing environment, and on future-proofing the existing, square meter-based business models through new products. Meanwhile, investments in existing products will be reduced. UFI’s Digitisation Index shows that, as an industry, we have begun to digitise ourselves – a simple necessity if we want to stay relevant for companies who are building complex solutions to directly interact with their customers, effectively cutting out whole segments of the traditional value chain. Besides data, another major trend picking up steam is the “blurring of the lines” between historically separate event formats like exhibitions, congresses, and conferences – this will continue and intensify. Many of the fastest growing business events are currently managed by “accidental organisers”. Driven by a need from digital communities to meet face-to-face, hybrid formats like the Web Summit have evolved – part festival, part onference, part exhibition. In addition, more and more entertainment elements are being blended into B2B events as well, as they are adapted to changing audiences. As hybrid business events thrive, we will see more collaboration, maybe even mergers, between these new organisers, established association congresses and forprofit exhibition organisers. Organisers and venues are rethinking who they need to hire and what skills they need to add. The evolution of our business will increasingly be shaped by a new and somewhat younger group of leaders, many of whom are currently rising fast through the ranks of the international players of our industry. A significant number of talent programmes around the world are now offering additional opportunities for future leaders to stand out and be noticed. At the same time, education programmes still need to be developed to provide sufficient qualified talent for everyday needs, especially on the venue side. Simultaneously, our industry will focus even more on bringing in leadership and skills from other sectors, and will look to add more diversity to the top levels of management. To facilitate all this, the focus of HR within companies is shifting towards more investment in people. Against a backdrop of attacks on the public around the world, our industry will have to find the right answer to the challenge of security at events. Over the past year, organisers and venues have been collaborating more closely to minimise risk. There is no “one size fits all”, no single “check list” solution for all the different types of events. Security measures are defined by local law, cultures and threat levels, not by a global case study. The biggest challenge for exhibitions: whilst venues often know local procedures best, exhibitors and visitors will always look to the organiser for solutions. Here, probably more so than in many other areas, security for everyone at events will be shaped by the level of collaboration between all the parties involved, including the service providers.